This week the city of Los Angeles turned into an ever-stretching stage thanks to RADAR L.A., a contemporary theater festival comprised of companies from around the globe. 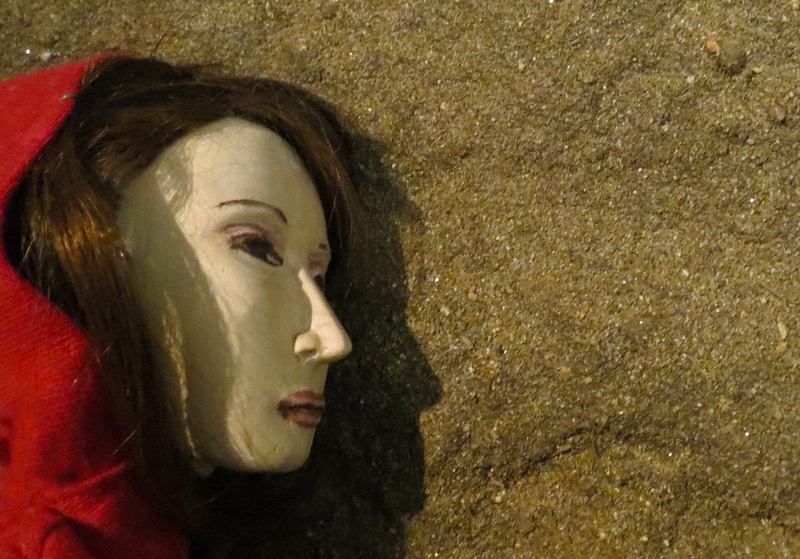 Eighteen performances, from a Mexican surrealist opera to a French serial killer puppet show, were on display throughout the city spanning from Malibu to UCLA. 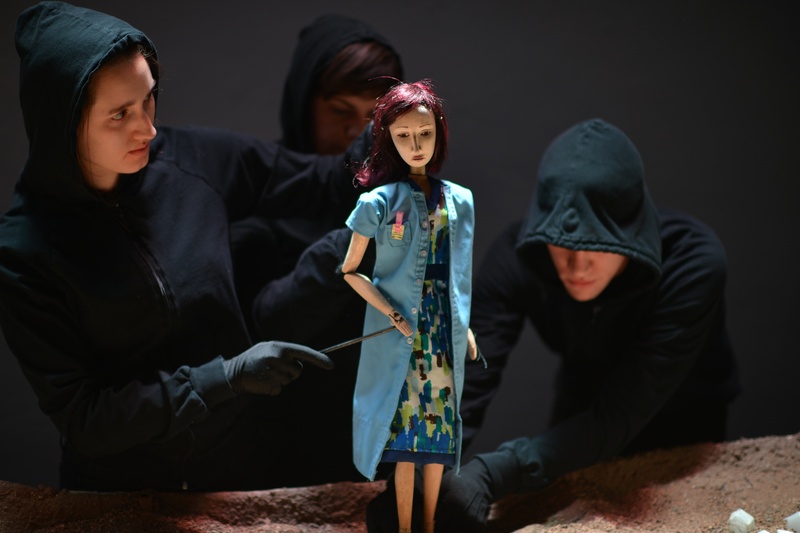 "Clouded Sulphur (Death Is A Knot Undone)," which opened on Monday in Chinatown's Automata, is a surreal and sinister puppet show chronicling the unsolved abduction and murder of fifteen-year-old Brenda Sierra. 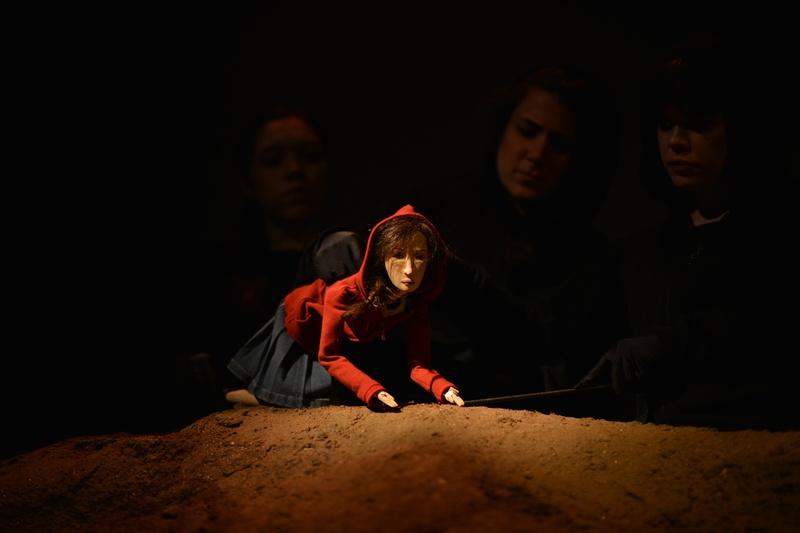 Created by director, designer, and filmmaker Janie Geiser, playwright Erik Ehn, and composer Valerie Opielski, the tale follows Brenda's sister and brother on their quest to find answers or any semblance of closure in the wake of a rupturing tragedy. A puppet show may seem like an odd vehicle through which to portray such grim and truth-based subject matter. (The piece is based on a real 2002 Los Angeles case that was never solved.) But in a strikingly L.A. manner, the unorthodox technique perfectly navigates the hazy terrain between authentic and artificial, real and imagined. 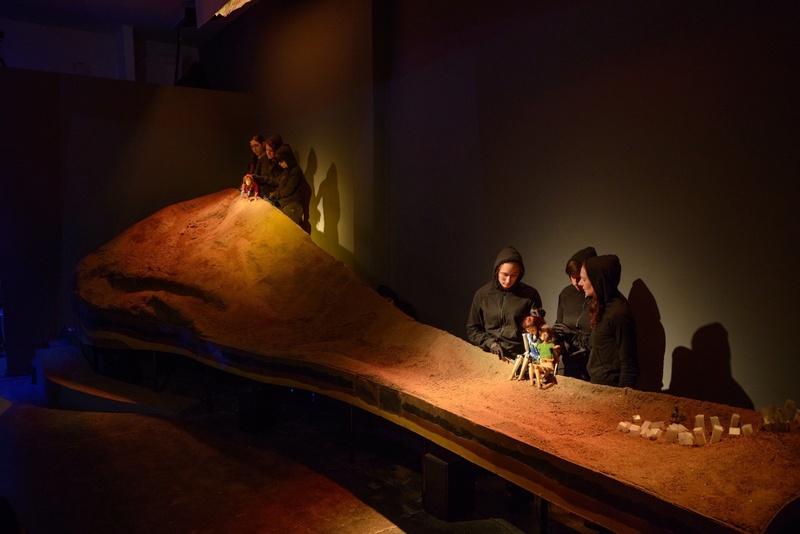 A tiny storefront theater, featuring only two rows of seats, faces a sprawling dirt installation embodying the sprawling expanse of the L.A. landscape. Using a combination of Japanese Bunraku puppetry and other forms, a team of ten hooded actors move the characters -- all still-faced puppets -- with such conviction it feels like watching a seance. The story begins with Brenda in pigtails and Doc Martins, walking to a friend's house when she is abducted; we never find out by who. What begins as a heartbreaking series of events soon unravels into something darker and stranger, as Brenda's sister descends into the forest and real life becomes indistinguishable from nightmare. Whether crumbling into a fit of tears or riding a galloping, skeletal creature, the puppets move with such human feeling there were moments their faces seemed to move along with them. The script reads somewhere between poetry and insanity, with fairy-tale images jammed up against the bumbling non-sequiturs of a mind deep in pain. "Clouded Sulphur" addresses the impossibility of moving on in the face of tragedy without answers. Perhaps, the piece suggests, the only possible places to dwell exist outside of reality. 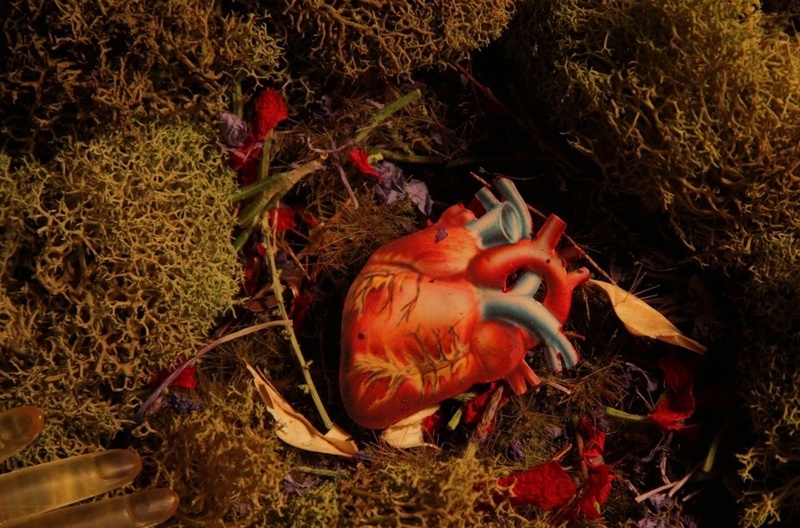 "Clouded Sulphur (Death Is A Knot Undone)" runs until September 29 at Automata in Los Angeles' Chinatown district. Tickets are available here. Stay tuned for more RADAR L.A. coverage. All photos by Amanda Shank.